New solution hopes to help secure connected IoT devices in the healthcare industry. Thales and Device Authority have announced a new solution to secure healthcare-focused IoT devices. The new launchIt integrates Device Authority’s KeyScaler platform with the Thales nShield Connect hardware security module (HSM), providing high-assurance device authentication at IoT scale. It also brings end-to-end encryption, as well as certificate provisioning for healthcare and other connected devices. Any new hardware gets authenticated automatically, establishing a strong root of trust and identity of all devices on the network. 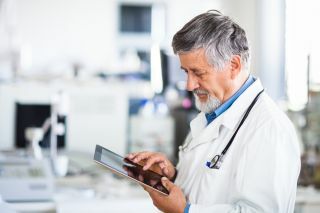 The two companies say ‘connected health’, or the IoT market in the healthcare industry, has boomed in recent years, and analysts expect it to grow even more, hitting $612 billion by 2024. However, the industry itself is a frequent target by cybercriminals, and 70 per cent of healthcare organisations globally have said to have experienced at least one data breach this year. The risks are high, and Thales and Device Authority want to lower it. “IoT is transforming the healthcare industry and the way healthcare is provided," said Cindy Provin, CEO of Thales eSecurity.